During the hot Irish summer of 1969, tensions rise in Belfast where Katherine, a former actress, and George, a firefighter, struggle to keep buried secrets from destroying their marriage. As Catholic Republicans and Protestant Loyalists clash during the "Troubles" and Northern Ireland moves to the brink of civil war, the lines between private anguish and public outrage disintegrate. An exploration of memory, childhood, illicit love, and loss, "Ghost Moth" is an exceptional tale about a family--and a country--seeking freedom from ghosts of the past. 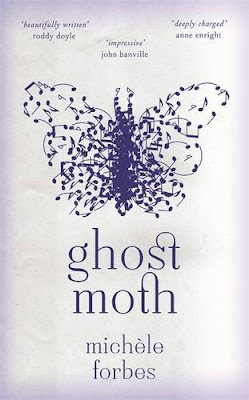 When I was offered the chance to review Michele Forbes' debut novel Ghost Moth, I had heard nothing about either the novel or the author before. The description was enticing and seemed to be just up my street. The debut novel of an female Irish author, a dual-time story, set in Belfast - what's not to love? The uncorrected proof copy is a slim paperback, just 237 pages long. The first few pages are taken up with praise for this novel, from editors, publicists and managers of the publishing company. Praise that includes the words 'poised', 'effortless' 'powerful' and 'searingly beautiful' - those words frighten me! Huge praise to live up to. There is no doubt that Michele Forbes is a very accomplished author, as a debut novel, this is outstanding. Her use of language does create a story that is a joy to read, although at times I felt that the descriptive prose could have been aimed more at her characters than at the setting. Sometimes short novels have a somewhat sparse feeling to them, but not this one. The story centres around Kathleen, married to George, and a mother of four children and begins when she gets into difficulty whilst swimming in the sea. This episode awakens memories for Kathleen, of a time twenty years ago when although engaged to be married to George, she begins a liaison with Tom - a dressmaker who fits her for a costume. The story flits back and forth from the late 1960s back to 1949. Personally, I enjoyed the 1960s story more than that set in the 40s. I found Tom a difficult character to envisage, or to understand why he became so important to Kathleen. This is a story of love, of changing political climate, of secrets left unsaid. It's also a story of relationships between a mother and her children and between a wife and her husband. The ups and downs of marriage, of illness and ultimately of tragedy. A fine debut novel, I have no doubt that Ghost Moth will make an impact on anyone who reads it and that this is just the start of a successful writing career for Michele Forbes. One night in Paris and I'm already doing stupid things but Simon's been brainwashed and it's not pretty. P.S. Paris has all of the charms of Baltimore! Carly is convinced that her boyfriend Simon is about to propose. He's been dropping quite a few hints recently, ever since he got involved with Morningside - a sort of self-help cult. Carly is a life coach, and Simon is in need of coaching; he's neurotic, dissatisfied with life, a little bit odd. Armed with a wedding dress bought on a whim from a vintage shop, Carly is ready to get married. So is Simon, except he's not marrying Carly. Out of the blue, from nowhere, Simon up and marries another Morningside member and they take off to Paris for a honeymoon. Carly is convinced that Simon has been brainwashed, he's also taken her great-uncle's memoirs with him. She is determined to get both the book back, and Simon. Helped by Simon's brother Josh, Carly sets off to find Simon, and to find out just what is going on. Intwined into this story is the story of Carly's great-uncle. His time in Paris during both the 1920s and the 1960s, hanging out with the likes of Hemingway and the Fitzgeralds. It took me quite some time to really engage with this story. Carly is a bit of a kook, as they'd say in America, and to be honest, at first I thought she was just a bit dumb. Once I'd got through the first 120 pages or so, I started to really enjoy the story. Paris is brought to life, in Carly's modern-day story, and in her great-uncle's stories too. I loved reading about literary giants such as the Fitzgeralds. The writing flows easily once the story is established, and the characters develop warmth over time. 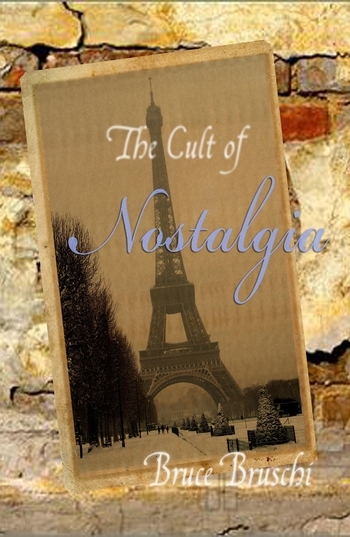 The Cult of Nostalgia was published on 4 July 2013 by Cutting Edge Press, my thanks as always to Saffeya for sending my copy for review. 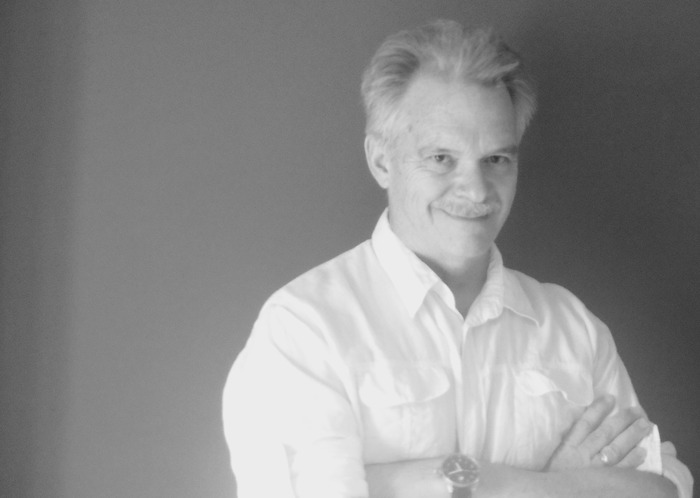 Bruce Bruschi has worked in academic and arts administration in roles that have taken him from San The Cult of Nostalgia, his first novel. A haunting and beautifully written debut novel by an exciting new talent. 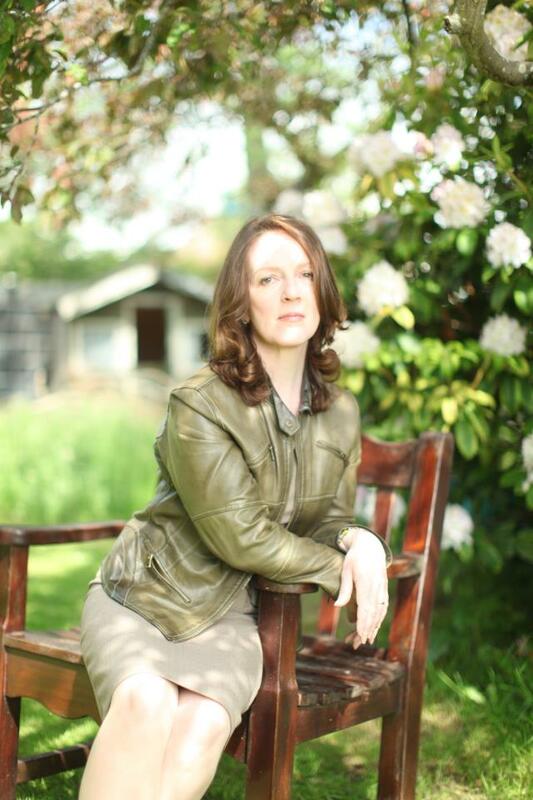 ‘The Qualities of Wood’ is a stunning novel from an exciting new writer. Perfect for readers of Anne Tyler and Anita Shreve. Vivian and Nowell Gardiner have only been married for four years when Nowell's grandmother dies. They make the decision that they will give up their regular lives for a while to clean up the house, ready to put it on the market. Nowell leaves first, Vivian follows on a few weeks later. For Vivian, this is a huge upheaval; she's given up her job, moved to an unknown town and now has to sort through the clutter and memories of the life of a woman she didn't really know. When Vivian finds out that a young girl's body has been found on land just outside of their boundary, she finds it a struggle to cope. The death was ruled an accident, but the behaviour of people around her make her question the truth - how much do people really know about what happened that night? The Qualities of Wood is about a slow moving, gentle sort of town and the writing is just the same. Mary Vensel White's strength is in her descriptions - of the numerous characters, and of the small town and it's culture. Although I didn't particularly like either Vivian or Nowell, there is something about this young couple that entices the reader. The undercurrents of their relationship are often tense and sometimes a little dark. Evocative and deep; The Qualities of Wood is an exploration of relationships and passions, of secrets long hidden and reactions. The story and the characters develop over the length of the novel, and although there are no fast-paced action scenes, or nail-biting excitement, this really is a novel to savour. The Qualities of Wood is published by The Friday Project - an imprint of Harper Collins - 25 July 2013. My thanks to Sabah, as always for sending my copy for review. Mary Vensel White was born in Los Angeles and raised in Lancaster, California. She graduated from the University of Denver and lived for five years in Chicago, where she completed an MA in English at DePaul University. Her short fiction has appeared in The Wisconsin Review and Foothills Literary Journal. 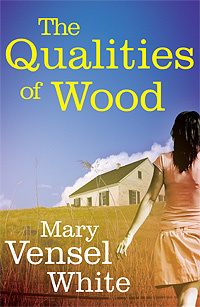 The Qualities of Wood is her first novel. Mary Vensel White currently lives in southern California with her husband and four children. She is working on another novel set in the Midwest, a place that flourishes in her imagination despite her sunny surroundings, and a collection of inter-related short stories. A multi-generational historical novel set in a beautiful manor house on an island in the Outer Hebrides, Secrets of the Sea House by Elisabeth Gifford is a beguiling tale of love, loss and hope – a stunning debut novel. Scotland, 1860. Reverend Alexander Ferguson, naïve and newly-ordained, takes up his new parish, a poor, isolated patch on the Hebridean island of Harris. His time on the island will irrevocably change the course of his life, but the white house on the edge of the dunes keeps its silence long after Alexander departs. It will be more than a century before the Sea House reluctantly gives up its secrets. Ruth and Michael buy the grand but dilapidated building and begin to turn it into a home for the family they hope to have. Their dreams are marred by a shocking discovery. The tiny bones of a baby are buried beneath the house; the child's fragile legs are fused together - a mermaid child. Who buried the bones? And why? Ruth needs to solve the mystery of her new home - but the answers to her questions may lie in her own past. 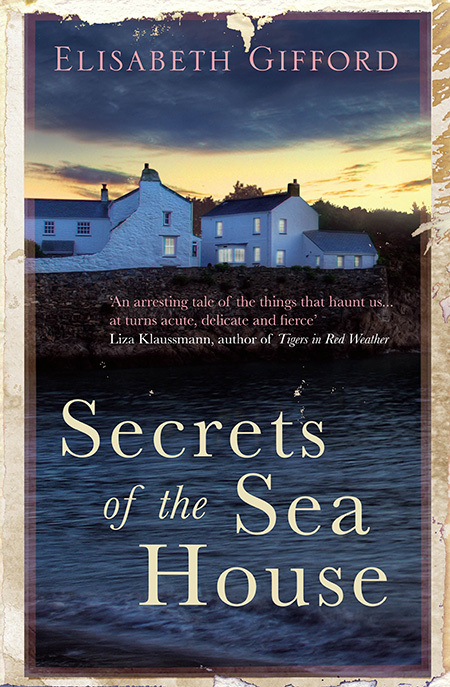 Based on a real letter to the Times by a Victorian schoolmaster reporting a mermaid sighting, Secrets of the Sea House is an epic, sweeping tale of loss and love; hope and redemption; and how we heal ourselves with the stories we tell. Secrets of the Sea House will be published by Corvus (Atlantic Books) on 6 August 2013. Secrets of The Sea House is a dual-time novel set on Harris, an island in the Hebrides. The story is played out an old, almost derelict house known locally as The Sea House. The modern story is related by Ruth who with her husband has bought the Sea House, they intend to renovate it and open it up as a guest house. Work comes to a halt when the remains of a small child are found, buried deep under the house. The bones are estimated to be over 100 years old, but it is the fact that the legs of the skeleton are fused together that is most unsettling for Ruth - could this be a 'Selkie', one of the seal people, a mermaid? Ruth is determined to find out more about her new home and it is when she starts to uncover the story that the reader is introduced to the Reverend Alexander Ferguson who was the parish priest and lived in the Sea House back in 1860. This is a wonderfully colourful and evocative debut novel from an author who clearly knows and loves the Hebrides. The magical stories of the Selkies are cleverly woven throughout the story, adding to the mythical quality of the story and the flowing prose. answer some questions for me. I’m reading a biography of a secret agent in war-time Madrid: Man of War, by Duff Hart-Davis. I stumbled across it while trying to find information on a relative who was part of the community around the Madrid British Embassy that smuggled thousands of stranded allied soldiers and Jewish refugees to safety. After the war, none of those concerned ever spoke of it. It’s part of the research for a second novel. I’m also reading the Story of Before by Susan Stairs, a mystery set in Ireland in the seventies. 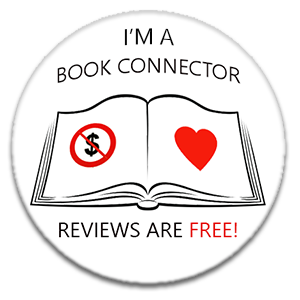 Do you read reviews of your novels? I’m used to getting feedback from the other writers on the Royal Holloway University creative writing MA and that’s been very useful in understanding exactly what your writing is doing and how to hone that. It’s been quite exciting to get reader feedback online and see that people have enjoyed spending time with Alex, Moira and Ruth. I have had one interesting point fed back. Secrets of the Sea House looks at what is behind the sea people legends, mermaids and selkies, and I think some readers assume it is completely made up. The mermaid burial and the sightings of seal folk were recorded events. In fact, since writing the book, I’ve found that there’s an archaeological site for a sea people village in Vesteralen. The sea people were very real. It might be a good idea to flag up that up more in the on-line information about the book. It probably takes about two years in terms of production, but forming an idea can take ten years. The re-drafting process takes much longer than you think it’s going to, but I was really sad when the Sea House was finally finished; I love spending time in the Hebrides and the island of Harris, both on paper and in situ. Part of the pleasure of writing came from wanting the reader to feel ‘there’. 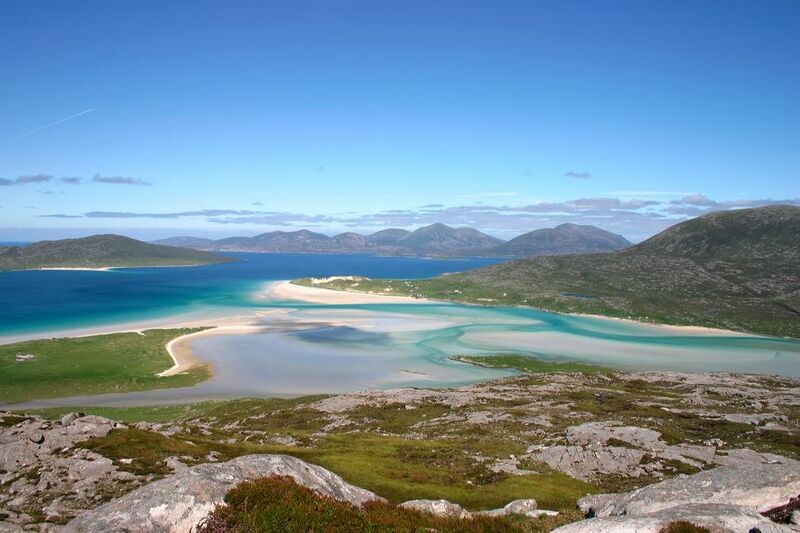 Even as part of the UK, the island of Harris and Lewis is a remote place with areas of beautiful wilderness. I like to go for a walk and spend time imagining a scene or roughly cast it on paper before I get serious. You have to give characters room to breathe, and then they will tell you things. Just William. Any Just William book. Meeting the English by Kate Clanchy had me laughing out loud recently. Kate is a fantastic poet and I wasn’t expecting her novel to be so funny. She is a very talented writer. A Severe Mercy by Sheldon Vanauken. It’s a love story about two Americans, friends of CS Lewis at Oxford. Even though you know what will happen, when one of them doesn’t survive it still comes as a shock because it’s such an intense read. Just William, or failing that I’d love a Gin and tonic with author Richmal Crompton. When I started writing the Sea House Moira popped up out of nowhere, and she had so much to say; she felt very real. It was a quite strange experience. I feel I’ve met her. The Garden of Evening Mists is a very beautiful read, and also a page-turner with some little known-insights into how the second world war affected Malaysia. I’m such a fan and went to hear Tan Twan Eng speak. I read Seal Folk by John MacAulay, a history of what lies behind the mermaid sightings in Scotland, several times, almost to pieces. His research, with his permission, was the basis for Secrets of the Sea House. I found out that there was an actual letter to the Times reporting a mermaid sighting through his work. I have a bookcase full of books on Hebrides history and folklore and they feel like old friends now. I loved the autobiography of Finlay MacDonald, Crowdie and Cream. It’s a very funny and touching account of his childhood on Harris in the thirties when people were extremely poor and living an almost subsistence life as crofters. Crowdie and Cream was being filmed in Drinishader village while I was staying there to write. From the cottage I could see characters in costume from the thirties going about their business. It felt like time travel. I read widely and took a lot of notes about the island because I wanted to hold some of the fragile and disappearing culture of the Hebrides in Secrets of the Sea House. I don’t feel guilty about anything I read but I do read in different ways. I love detective fiction, especially Ian Rankin. I love story and plot and page-turners as well as evocative and poetic writing. Marilynne Robinson and Gabriel Garcia Marquez are breathtakingly vivid writers. Which book have your re-read? I re-read One Hundred years of Solitude for the intensity of the writing, picking apart what Marquez had done to keep the reader so engaged. His characters are off beat, but motivated by such longing that you empathise with them immediately. I read his autobiography and was amazed to find that his life was almost as fantastical as the novel. It made me realise how important it is to have your writing grounded in what’s true and honest in some way. I haven’t finished Capital by John Lanchester yet, mainly because I became too interested in one of the story strands and started skipping the rest. But I want to go back and finish it. My thanks go to Anna from Atlantic Books for inviting me to take part in the mini blog tour, and for sending my review copy, and also to Elisabeth for taking the time to answer my questions. 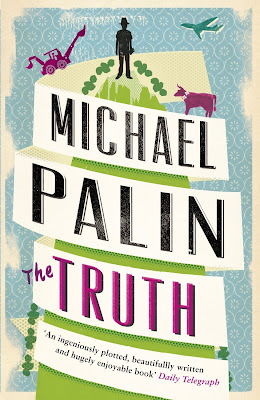 The Truth by Michael Palin was published in paperback by Phoenix, an imprint of Orion Publishing on 18 July 2013. The thing that I've found when reading fiction written by very famous people, is that I tend to see the author when I'm reading, rather than the characters. 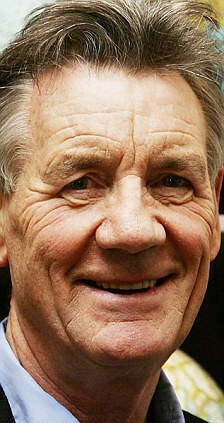 So, for me, Keith Mabbut looks like Michael Palin, although really I doubt that they have too much in common. Keith is a man who regrets a lot, he is gazing back at this life and wondering just where to go next. Having just completed a book about an oil company in the Shetlands, he is determined that at last he will write his long-planned fiction novel. His agent has other ideas and despite (little) protest he finds himself off to India to track down Hamish Melville. Michael Palin has been able to draw on his experience in the world of television presenting and travel writing to create a realistic sounding if not very pretty backdrop for this novel. A gentle, fairly slow at times and dry-witted story that moves slightly into the 'thriller' territory in the second half. Michael Palin writes well with great insight into the environmental nature of the plot. My thanks to the publisher for sending my copy for review. Michael Palin established his reputation with Monty Python's Flying Circus and Ripping Yarns. His work also includes several films with Monty Python, as well as The Missionary, A Private Function, an award-winning performance in A Fish Called Wanda, American Friends and Fierce Creatures. His television credits include two films for the BBC's Great Railway Journeys, the plays East of Ipwich, Number 27 and Alan Bleasdale's GBH. He has written bestselling books to accompany his eight very successful travel series, Around The World in 80 Days, Pole to Pole, Full Circle, Hemingway Adventure, Sahara, Himalaya, New Europe and Brazil. he is the author of a number of children's stories, the play The Weekend and the novel Hemingway's Chair. He has also published two volumes of his acclaimed diaries. 1969 - 1979: The Python Years (2006) and Halfway to Hollywood, Diaries 1980 - 1988 (2009). Yesterday was a first class day! I had a lovely day out in Yorkshire, ate some great food and had some belly laughs. I also took delivery of an amazing parcel ~ my prize in W&N Publisher's recent 'Where'd You Go Bernadette' competition on Twitter. When I saw the Tweet announcing that I was the winner, I was thrilled to bits. I do enter quite a few Twitter and Facebook competitions and have been fairly lucky in winning small prizes; books, chocolates etc, but have never won first prize before, and never ever anything as exciting as an iPad Mini! 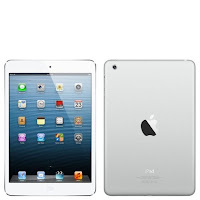 to have my own nifty little iPad, and I much prefer it to the regular iPad. It's white and slim and so neat, just perfect for me. Now I'm off to see if I can get a cute case for it. The competition was part of the publicity campaign for Maria Semple's novel Where'd You Go Bernadette and all I had to do was identify where Bernadette was in the picture that W&N tweeted. The parcel also contained a slinky yellow headscarf and some really cool 60s style sunglasses - so I can dress up and 'be' Bernadette if I want to! I've read loads of great reviews of Where'd You Go Bernadette and can't wait to get stuck into it. I'll post my thoughts on here just as soon as I've read it. So, thanks to W&N, I'm really thrilled with my prize. Keep on entering those competitions everyone, you can't be a winner if you don't take part! 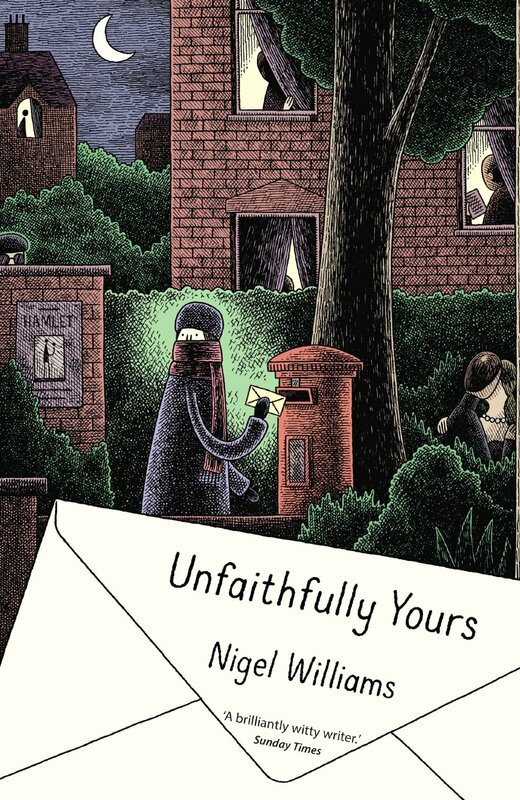 Introducing the cast of Unfaithfully Yours by Nigel Williams - published by Corsair, Constable & Robinson on 18 July 2013. Four couples and one private detective. Four couples who are all now in their sixties and who spent many summers holidaying together in various European hotspots. Told in the form of letters between each of the characters (except of course for poor Pamela, now deceased, but subject of much wondering by the others), Nigel Williams made me chuckle and chortle out loud many times. This first sentence sets the scene for the whole book, sharp and straight to the point ..... and rude, so rude! There comes a time in life when 'telling it like it is' is the only way forward and each of these characters have arrived at that point at the same time. Hidden lust is suddenly out in the open, suppressed feelings are made clear. Feelings are hurt, revenges are sought and truths are told. Nigel Williams has entertained me over the past couple of day with this comical tale of what could be called a suburban melt-down. There are some cracking one-liners in there (a couple of which I will be saving to use myself one day!). My thanks to Sam Evans from Constable & Robinson who sent my copy of Unfaithfully Yours for review. Nigel Williams is the author of twelve novels including the best-selling Wimbledon Poisoner trilogy. His stage plays include Class Enemy, still being performed all over the world, and a dramatization of Willing Golding's Lord of the Flies, recently revived at the Regent's Park Theatre. He also wrote the Emmy and Golden Globe award-winning Elizabeth I, starring Helen Mirren, while his BBC Radio 4 comedy, 'HR', with Jonathan Pryce and Nicholas le Prevost, is now in its fourth series. He has lived in Putney for thirty years. It is no secret that I love Greece! I love visiting the Greek islands, I love the food and the people and I love reading anything about Greece. Victoria Hislop's first novel The Island is one of my all-time favourite books and tells the story of the tiny island of Spinalonga, off the coast of Crete, that became a leper colony. I was lucky enough to visit Spinalonga just after reading The Island. It was a wonderful visit, that I will remember for ever. 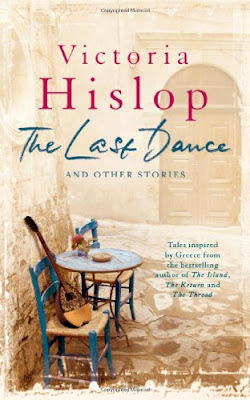 The Last Dance and Other Stories was published by Headline Review in November last year and the paperback edition was released in May 2013. This is a collection of ten short stories, all inspired by Greece. I loved every one of these stories, populated as they are by colourful Greek characters. Victoria Hislop creates a wonderful sense of place, be it big and bustling Athens city, or a quiet, dusty small village. Each story transports the reader straight into the heart of the story and those who have visited any Greek island will recognise the village kafenion populated by the men drinking ouzo and strong black coffee and the tobacco kiosk, usually situated in the centre of the village or town square. This really is the perfect collection of short, sweet stories of Greece and it's people. I enjoyed every page and it left me longing for my next Greek holiday! Gifted with a mind that continues to impress the elders in his village, Ichmad Hamid struggles with the knowledge that he can do nothing to save his friends and family. Living on occupied land, his entire village operates in constant fear of losing their homes, their jobs, and belongings. But more importantly, they fear losing each other. With his father imprisoned, his family's home and possessions confiscated, and his siblings quickly succumbing to hatred in the face of conflict, Ichmad begins an inspiring journey using his intellect to save his poor and dying family. In doing so he reclaims a love for others that was lost through a childhood rife with violence, and discover a new hope for the future. 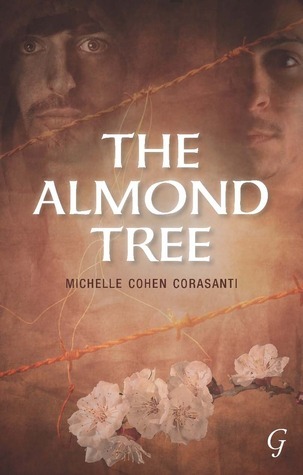 The Almond Tree is the debut novel of Michelle Cohen Coransanti and was published by Garnet Publishing in September 2012. Michelle Cohen Coransanti has drawn upon her own personal experiences to produce this novel and pulls no punches with her descriptive and often very emotive writing style. The Palestinian-Isreali conflict is a complex, and often confusing situation, and I'll admit that I had very little knowledge of their war before embarking upon this story. At times, this was a disadvantage to me, although the author does explain the context of many of the situations during the novel. Fictional stories that are based upon factual events can often be very one-sided, and in this case, the reader is shown the conflicts and struggles from the Palestinian point of view. This is an important story, and is well-written with the author's passion shining through on every page. She does not shy away from detailing atrocities that happen in this part of the world, but she has also created a fine character in young Ichmad, who grows and matures throughout the story. This is not an easy read by any means, but it is an important read in terms of the themes of compassion and forgiveness shown by the lead character, Ichmad. My thanks go to the author, Michelle Cohen Corasanti for sending a copy for review. Michelle Cohen Corasanti has a BA from Hebrew University in Jerusalem and a MA from Harvard University, both in Middle Eastern Studies. She also holds a law degree. A Jewish American, she has lived in France, Spain, Egypt and England, and spent seven years living in Israel. She currently lives in New York with her family. The Almond Tree is her first novel. 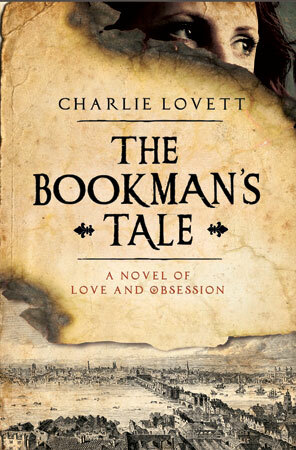 The Bookman's Tale by Charlie Lovett will be published here in the UK by Alma Books on 18 July 2013. A mysterious portrait ignites an antiquarian bookseller's search - through time and the works of Shakespeare - for his lost love. After the death of his wife, Peter Byerly, a young antiquarian bookseller, relocates from the States to the English countryside, where he hopes to rediscover the joys of life through his passion for collecting and restoring rare books. But when he opens an eighteenth-century study on Shakespeare forgeries, he is shocked to find a Victorian portrait strikingly similar to his wife tumble out of its pages, and becomes obsessed with tracking down its origins. As he follows the trail back to the nineteenth century and then to Shakespeare's time, Peter learns the truth about his own past and unearths a book that might prove that Shakespeare was indeed the author of all his plays. The Bookman's Tale is a story of ghosts and mysteries that will especially appeal to book lovers. The story begins in Hay on Wye on a cold February day in 1995. Recently widowed, Peter Byerly is just beginning to take small steps to rebuild his life after the loss of his beloved young wife Amanda. As he looks through an antique book, he comes across an artist's image of his wife - only this is clearly a Victorian image, painted long before Amanda was even born. The only identifying marks are the initials BB. The author moves with ease back and forth from different time settings. We follow Peter in the modern day, we learn more about his wife Amanda, going back to their university days in the 1980s and then the reader is transported back to the sixteenth century - the time of Shakespeare. This is, quite simply, a historical mystery for book lovers, but it is not simple in its writing. It is a very accomplished story, with layers of murder, feuding, romance and lots and lots of book dealing. Charlie Lovett has captured the passion of booksellers in each of his characters and has created a gripping thriller for bibliophiles everywhere. three thousand productions. 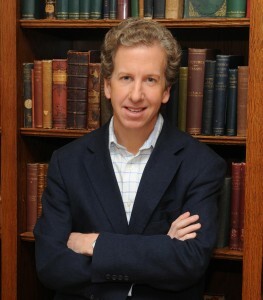 He is a former antiquarian bookseller and an avid book collector. He and his wife split their time between Carolina, and Kingham, Oxfordshire, in England. For more information about Charlie Lovett, visit his website www.charlielovett.com. Visit his Facebook page, or follow him on Twitter. 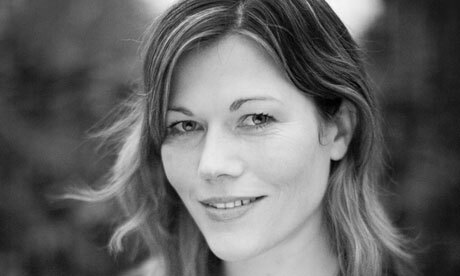 The Elephant Girl is Henriette Gyland's second novel and was published by Choc Lit on 7 July. I read and enjoyed her first novel, Up Close back in November of last year and you can read my review of Up Close by Henriette Gyland here. Once again Henriette Gyland has written a well-paced and clever story that features just enough mystery, thrills and romance to satisfy the most demanding of readers. Helen has spent the past few years in India. Her mother was murdered when Helen was just five years old and she spent her childhood in foster care, despite the fact that she was part of a wealthy and important family. Helen has epilepsy and nobody really wanted her, she has spent her life hating the woman that she believes killed her mother, and hating her illness. It makes her feel vulnerable, and different. She really just wants to be ordinary. When, out of the blue, Helen hears from her step-grandmother. Her mother's murderer has been released from jail. It's time for Helen to return to England. Jason has also spent his life wanting to be different. His father is rich and powerful, and something of a crook. Jason doesn't want to be like his father, he's determined to do good with his life. Jason runs a half-way house, for ex-offenders. When Helen finds herself on his doorstep, their lives become entwined, but little do they know that both of their families have big secrets and are linked together in ways that they would never have imagined. There are enough twists and turns to keep the reader engaged with this story from the first page. The characters are bold, well-developed and very realistic. The story is complex enough to keep the reader guessing but not too complicated to distract from the enjoyment of the story. 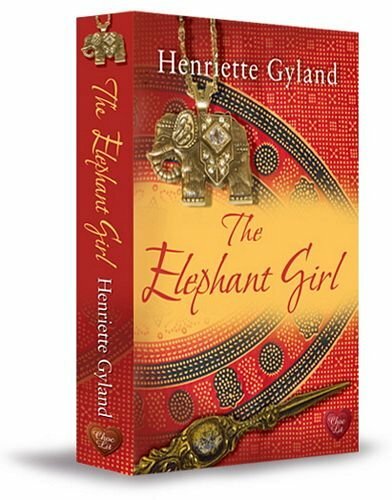 Henriette Gyland excels at combining mystery with romance and The Elephant Girl will not disappoint fans of her first novel. My thanks to Choc Lit for sending my copy of The Elephant Girl for review (and for the chocolate too!). Henriette Gyland grew up in Northern Denmark but moved to England after she graduated from the University of Copenhagen. She wrote her first book when she was ten, a tale of two orphan sisters running away to Egypt fortunately to be adopted by a perfect family they meet on the Orient Express. Expecting her first child and feeling bored, she picked up the pen again, and when a writer friend encouraged her to join the Romantic Novelist's Association, she began to pursue her writing in earnest. 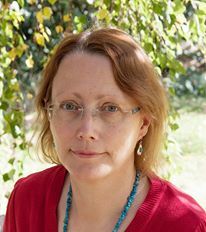 Her debut novel Up Close, won the New Talent Award in 2011 from the Festival of Romance and a Commended from the Yeovil Literary Prize. The Elephant Girl is Henriette's second novel. Her next release, The Highwayman's Daughter will be published in January 2014. It's the start of one of the hottest summers on record with soaring temperatures and weeks without rain; the summer of Abba, T-Rex, David Bowie and Demis Roussos; of Martinis, cheesecake and chicken chasseur; of the Montreal Olympics and the Notting Hill riots - the summer Big Ben stopped dead. Luke Wolff is about to turn eighteen and is all set to enjoy his last few months at home on the Isle of Wight before leaving for college. Life is looking good; his job at a holiday camp promises new friendships, even the possibility of romance, and his parents are too preoccupied with their own lives to worry much about their son's growing independence. But with windows and doors constantly open and life increasingly lived outside, secrets become hard to hide. As Luke listens in his parents' seemingly ordered lives come unstuck. Soon the community is gripped by scandal, and everything Luke thought he knew about family and trust is turned on its head. There couldn't have been a more perfect time to read Isabel Ashdown's third novel The Summer of 76 than over the past couple of day, as temperatures soared into the late 20s, doors were flung open and barbecues were fired up across Britain. 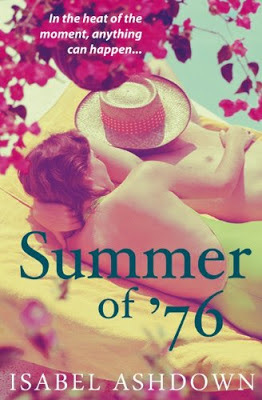 Summer of 76 by Isabel Ashdown was published by Myriad Editions on 4 July 2013 (possibly the hottest day of the year!). I remember that summer of 1976, I was 10-years-old and it seemed as though summer was going to last forever, never before had we experienced weeks and weeks of baking sunshine, water shortages and cracks in the tarmac. It seemed like a whole new world, and even though we've had hotter weather in the years since, that first long hot summer will always be remembered. The three page long prologue takes place a few years before the Summer of 76 - New Year's Eve, 1971 at a party on the Isle of Wight. Although this short snapshot does not go in to great detail, the reader quickly understands what is happening. Fast foward to the Summer of 76 and Luke Wolff is seventeen, finishing his exams and looking forward to starting college in Brighton after the summer. He and his four-year-old sister Kitty live with their parents on the Isle of Wight. They are a pretty ordinary family; Dad's a teacher, Mum stays at home to look after Kitty. Luke has a best friend Martin - who people seem to think is a bit weird. Luke fancies Samantha, who is dating his ex-best friend Len. The weather is hot, hot, hot and when Luke lands a job at the local holiday park he's sorted - OK it's only cleaning chalets, but he gets to work alongside Samantha and can use the swimming pool whenever he likes. The heat begins to make people behave strangely. Luke's Mum and Dad seem to be arguing a lot these days - something about the parties that their friends hold every so often. Dad's mate Simon seems to be the cause of some of this tension. Is it because he encourages Dad to stop out late on drinking sessions, or is there something else? Isabel Ashdown has produced an extraordinary story from ordinary characters who live in an ordinary town and on the face of it, live pretty ordinary lives. She has skilfully added tension with the snappy weather forecasts at the beginning of each chapter - as the temperature rises, so does the atmosphere in the story. There is a real art to creating everyday characters that pull the reader in quite as much as the Wolff family do. Episodes around the kitchen table, in the garden, general bickering and the day-to-day are brought to life brilliantly and make the reader feel as though they are actually sitting in that kitchen as part of the family. There are darker undertones to the story, a mystery that Luke can't quite fathom, although the reader has a clue from the prologue. I didn't want Luke's life to be shattered, I wanted him to remain innocent, to go off to college and never uncover the secret. Why? Because I cared about him. I also cared about Luke's friend Martin and I cared about his Nan - two brilliant characters, whose depth and dialogue added a special touch to this fabulous story. This is a first-class novel, excellent writing and fabulous characters. I'd recommend it to anyone. I'd like to thank Emma from Myriad Editions for sending my copy for review. "Thirteen-year-old Emily Houchens doesn't have many friends. She spends her time alone in the woods near her house - her safe place, until she finds the body of a young woman. Susanna Mitchell is searching for her sister, Ronnie, who vanished after leaving a late-night bar. The more she discovers about Ronnie's life, the more she realises that her sister began to disappear long before she went missing. The Next Time You See Me is a brilliantly nuanced, psychologically astute debut that explores the fault-lines of a small community - its hidden desires and its other, secret selves." Holly Goddard Jones' debut novel centres around the discovery of a body, and the disappearance of a young woman. Yet despite this theme, this is not just a mystery story, or a thriller. The author has written a story of small-town insecurities that often manifest themselves into downright cruelty. With a cast of deeply-flawed, and often troubled characters, The Next Time You See Me is a dark and brooding tale that closely examines the lives of every-day people and how their actions impact upon each other. One of the main 'characters' of this at times, hauntingly sad story is the town of Roma itself. Taking centre stage, it is described as 'neither a bad place, nor a nice place', perfectly summing up this small introverted little place whose residents feel no loyalty to, and would just like to get out of. The Next Time You See Me is not a joyful read, there are no 'fun' characters, nor is it a fast-paced action story. It is however, beautifully written with characters who are exposed and vulnerable. My thanks go to Corinna Zifko at Atlantic Books who sent my copy for review. 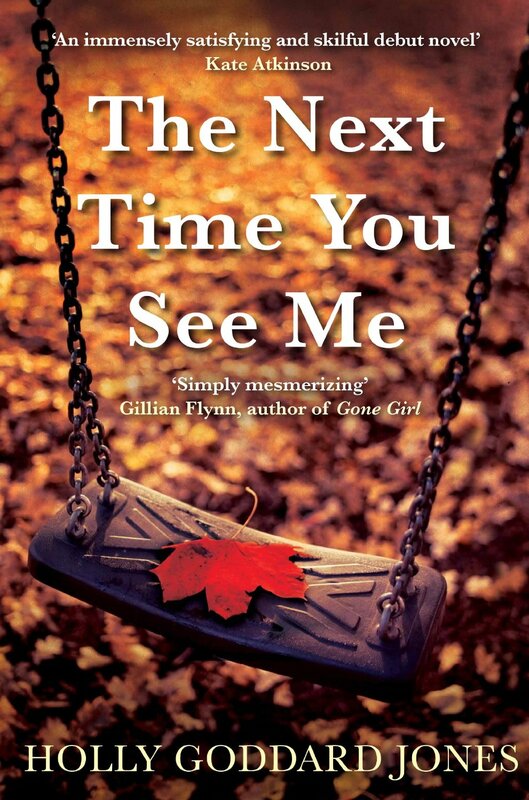 The Next Time You See Me was published here in the UK by Corvus (Atlantic Books) on July 4 2013. 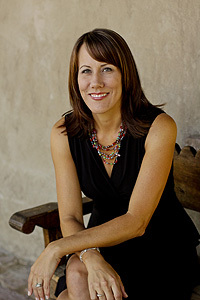 Holly Goddard Jones is the author of Girl Trouble: Stories. 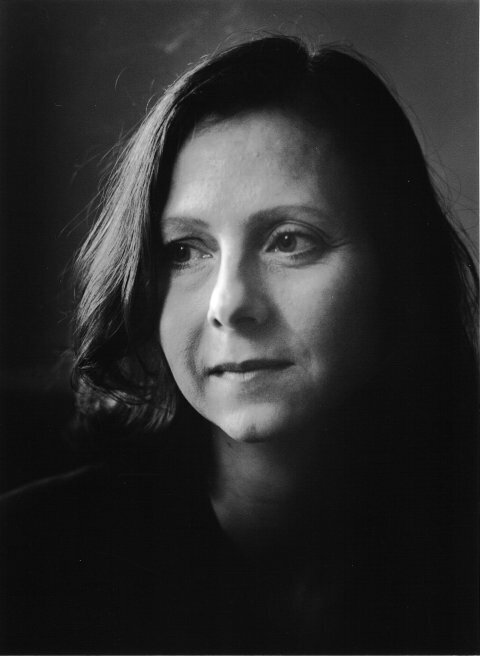 Her fiction has appeared or is forthcoming in Tin House, Epoch, Best American Mystery Stories, New Stories from the South, and elsewhere, and she was a 2007 recipient of the Rona Jaffa Foundation Writers' Award. She teaches in the MFA programme at UNC Greensboro and lives in North Carolina with her husband, Brandon. The Next Time You See Me is her first novel. Now here's a turn up for the books! Me, reading a Dr Who novel - I really didn't think that would ever happen! believe me, you really can imagine Smith doing and saying all of the things that is attributed to him the book. he's a bit of a nutcase, he's very funny and so so loveable. So even though the book is full of hairy Vikings, fires that float on water and pretty petulant Princesses, and just not my usual kind of thing at all, I loved every page. My husband kept looking over at me in amazement - he's the real Dr Who fan in this house and was convinced that I would abandon the novel before I got even half-way through. 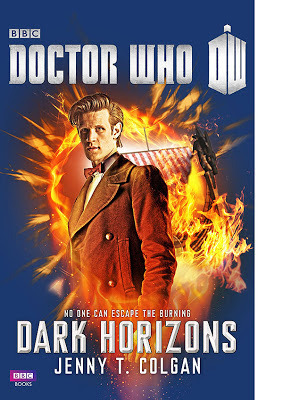 Lovers and followers of Dr Who, and especially Matt Smith's Dr Who will love this story, but so will fans of Jenny Colgan, and fans of a real fun, feel-good read. I'd recommend it anyone, it's especially good when read in the garden in the sunshine! So, I guess everyone knows that Matt Smith has given up the role of Dr Who. There is much discussion and debate online about who will replace him - will it be someone unknown, or someone already famous, or hey, will it be a woman?? 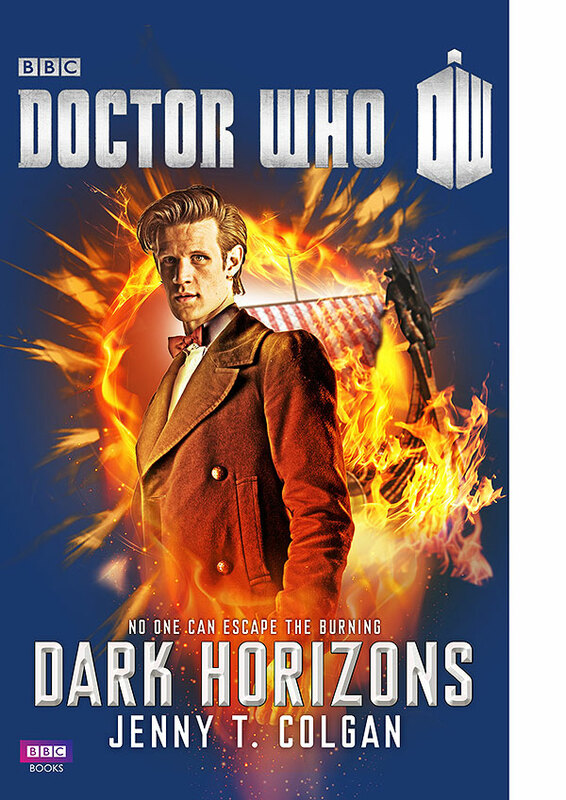 Ebury Publishers have very kindly offered three paperback copies of Dr Who : Dark Horizons by Jenny T Colgan as prizes to be won here on Random Things. 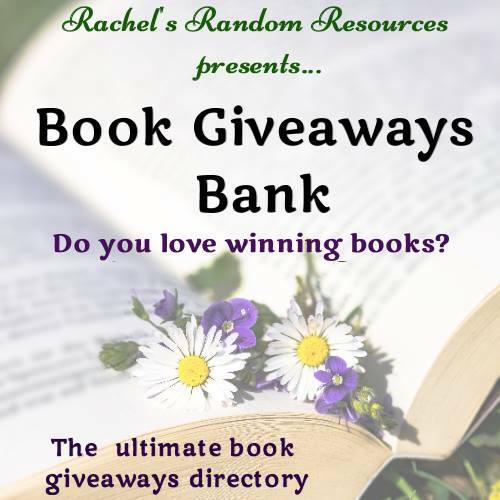 I thought about doing the usual Rafflecopter giveaway, but I had a better idea! why. Jenny Colgan has kindly agreed to be the judge - she'll pick out her three favourites answers and I'll announce the winner next Sunday evening (14 July 2013. So, thinking caps on. Who do YOU think will make the perfect Dr Who? 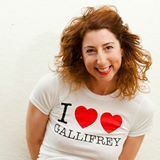 Jenny has a special Facebook page for her Dr Who writing - about Dr Who, and everything. Yeah! Kiss Me First is the debut novel from journalist Lottie Moggach and was subject of a major eleven-publisher auction here in the UK. Kiss Me First was published on 4 July 2013 by Picador (Pan MacMillan). In an email dated 27/12/08, William wrote, 'Thank you for ruining lunch'. What did you do to ruin lunch? And why is he thanking you? At various points you claim that 'You're Nobody till Someone Loves You' by Dinah Washington, 'Natural Woman' by Aretha Franklin and 'I Want You Back' by the Jackson Five are all your 'favourite song ever'. Which one is it? As Leila is soon to discover, there is much more to a life than the facts, and more than one side to every story ..... "
Although a fairly short novel at just under 300 pages (in the proof copy), it took me longer than usual to read. There is an intensity about the story, the characters and the writing that at times felt almost suffocating. The reader is thrust into the isolated, fairly strange world of Leila. Leila is our narrator and although she does realise that there is more than one side to every story, we readers only hear her side to this particular tale. Growing up the only child of a single mother, Leila has led a sheltered existence. The slow decline in her mother's health and her eventual death have left her with a sense of worthlessness and she immerses herself in an alternative world via the internet, playing games and interacting with people in various chat rooms. One web site in particular; Red Pill and it's charismatic founder Adrian attracts her more than most and it is through Adrian that she hears about Tess. Tess wants to commit suicide, but doesn't want to cause hurt to her family and friends. Tess plans to tell everyone that she is moving away, to 'start over' when really she plans to kill herself. Leila will take on Tess's identity online. Leila is relating her side of the story a year later when she has travelled abroad to the place that Tess 'moved away to'. Slowly and surely she relates just how she became Tess, her feelings for the other woman, her lifestyle and her friends. This is an incredibly unique, unusual and sometimes terrifying story. Terrifying in the way that it really makes the reader consider just what they do and say online. These days, most of us use at least one form of social media. Every day I see friends and family who post the most intimate details of their daily lives. Give me a bit of time and I'm sure that I could 'become' one of my Facebook friends. In fact, how do I know that that online presence is in fact that person who I last saw 15 years ago? Lottie Moggach has dealt with some harrowing and serious issues within this novel, yet there is also an innocence about Leila that makes her both hostile and endearing at the same time. A perfectly plotted story that deals with a very topical subject. 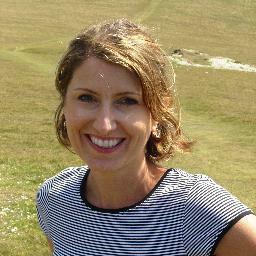 I will be very interested to see what Lottie Moggach comes up with in her next book. My thanks go to Pan Macmillan who provided a copy of Kiss Me First for review. 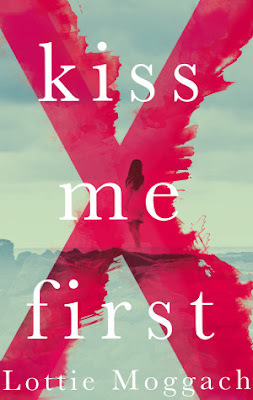 Pan Macmillan have produced a fabulously scary trailer to go with Kiss Me First (just click on the highlighted text to view). Turn up your speakers and prepared to be amazed! You will need to log onto Facebook to access the interactive trailer. Connecting with your Facebook account will not result in anything being posted on your Facebook profile, or anywhere else. Your details will never be shared. Pan Macmillan have promised that connecting to watch the trailer with Facebook is completely safe ........ go on, I dare you!! Imagine you found a letter written by your very much alive husband to be opened in the event of his death. So, imagine it was you that found the letter, what would you do? That's the question that kept popping into my head all the way through this book. How many of us could put the letter to one side, not open it? How many ........ really? The Husband's Secret is the fifth novel from Australian author Liane Moriarty, and the first of her books that I've read. It will be published here in the UK by Penguin on 29 August 2013. Although I found the first one hundred or so pages of the book quite slow, this becomes one of those compelling page-turners the further into the story you get. 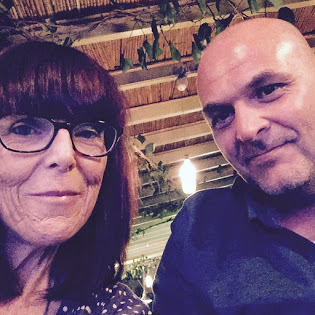 Celia Fitzpatrick and her husband John Paul have the sort of perfect life that glossy magazines sell as the ultimate aim. Happily married, both of them with careers that pay well, three beautiful and healthy daughters, a swimming pool and lots of friends. Celia is the epitome of organisation, her kitchen is arranged down to the last tea-bag, she sits on committees, she helps people .... she is happy. And then she finds that letter, and slowly and gradually her world crumbles around her. This is not just Celia's story, it is also the story of two other women; Rachel and Tess. Seemingly unconnected at the start, it soon becomes clear that these three women are linked together by some tragic circumstances. 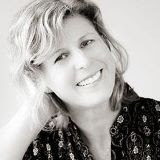 Liane Moriarty seems to effortlessly draw the reader into her characters lives, and I began to really care about each of them, at times I didn't particularly like them all, at times I would have liked to give them a shake, but I never grew tired of them and always wanted to know what would happen next. Cleverly using fairly short snappy chapters, often with a cliff-hanger end sentence, leaves the reader desperate to know what will happen next. The epilogue is stunning and is the perfect way to end what is a story of secrets and how they can change your world. 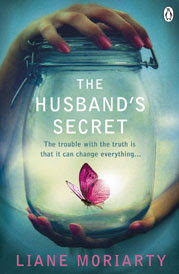 I enjoyed The Husband's Secret very much and will most definitely look out Liane Moriarty's earlier novels. My thanks go to Real Readers for sending my copy of The Husband's Secret for review.